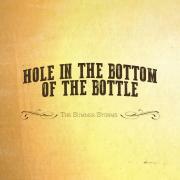 Hole in the Bottom of the Bottle available now! We’ve had a busy month or two since we last sent one of these. Thanks to everyone that came out to Californos, KC Bier Co, and The Mockingbird. Since then, we’ve finished up three songs on our EP, and expect to have something out soon! (Ya know, relatively speaking, after all the production wraps up). Art Westport is an annual art fair that’s been going on for 39 years in Kansas City, and is unique because it’s made up of all local artists. The music tent is set up in the middle of Westport Road, between Qdoba and Throwback. This is a family friendly show with no cover charge - bring the whole gang! We’re making a trip out to Tonganoxie! It’s really not that much of a trip: Only about 30 minutes from town, but we’re excited to be playing there! It’s at a new pub called Ryan’s where their motto is “For the People” and their mascot is a squirrel. What’s not to love? We’re joining some friends for a night of fun at The 10 Spot in downtown KC on the 28th. Stay tuned for details! 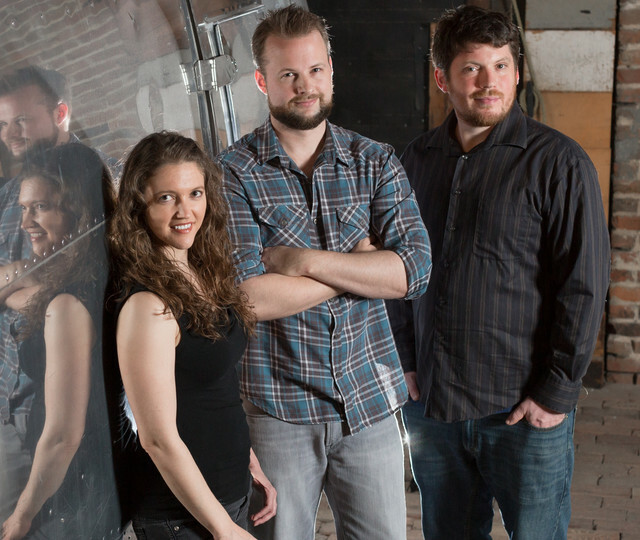 The 10 Spot is a relatively new venue in KC that is worth checking out if you haven’t been. The whole building is amazing: There’s a bistro on the first floor, and expansive arcade on the 2nd floor, and a pub & venue on the 3rd floor. It’s packed full of fun, and I recommend you check it out! Saturday Art Attack is an event at The Englewood Row Gallery and Art Space is a newly branded gallery in Independence, MO. “It provides an eclectic mix of art, live music, wine, cider, and beer tastings, event space and community activities all rooted in the history and culture of Englewood. The Gallery building once housed the film production company who gave Walt Disney his first job in the movies right here in KC!” We’ll be playing from 6:00 to 8:00, so come on out for the evening! Amanda’s helping organize a big women’s music conference in October, and we wanted to share it with you! It’s a full day conference, with music, education sessions, networking, keynote speaker Kelley Wade Hunt, and headlining act Maria the Mexican. Tickets are available at a discount right now for $25. Buy yours to help support the Kansas City Women’s Music Network! If you can’t make the event, they would really appreciate a donation to help cover costs. We hope you can come out and say hi! We’d love to see you at the next show! Like what you’ve read? Let us know by replying to this email and telling us what you think! with the word “unsubscribe” if you would like to unsubscribe. Welcome to our newsletter! We’ve got some exciting stuff coming up and wanted to let you know! us at a gig this year to help make it happen! Here’s what we’ve got scheduled so far. Mark your calendars! We’d love to see you soon! for love offerings to the organization to support the event. where their motto is “For the People” and their mascot is a squirrel. What’s not to love? their EP release party! Stay tuned for details! Like what you’ve read? Let us know! We promise not to spam you. Frankly, we don’t have the energy to do this terribly often. Please reply to this message with the word “unsubscribe” if you would like to unsubscribe.